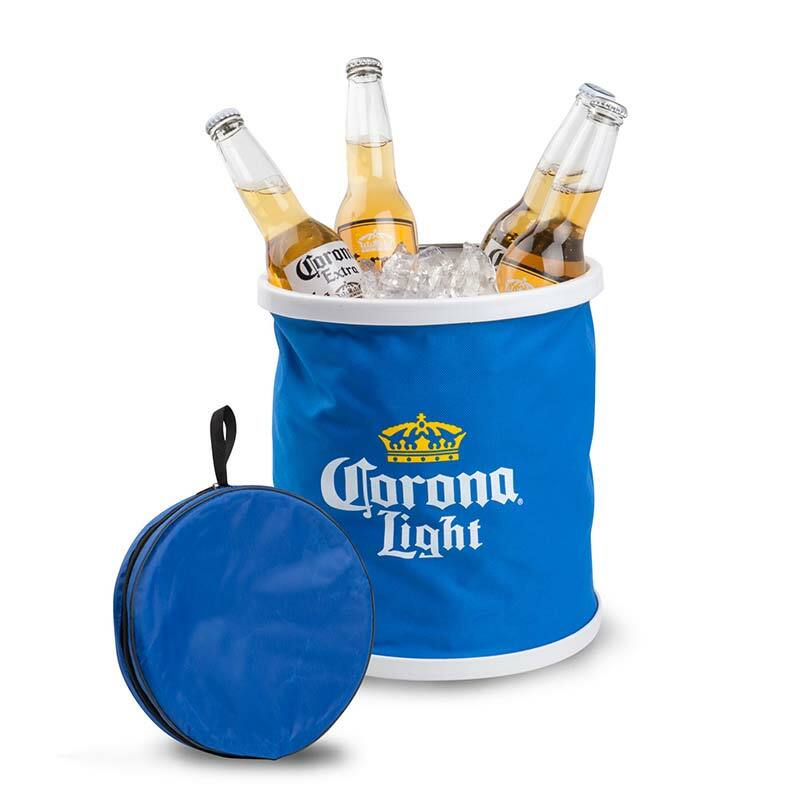 Blue Corona pop up cooler. Features a stainless steel handle, zipper pouch, plastic edges/bottom and is 100% waterproof. 10.5" H x 9.75" diameter. Officially licensed.